Ice fishing for 3 hours on 23in of ice, catching fish all day with people all around them... On their way off the ice is where they hit a patch only 3-4' in thick. And fell into 6ft of water. They got out in time through the window.. 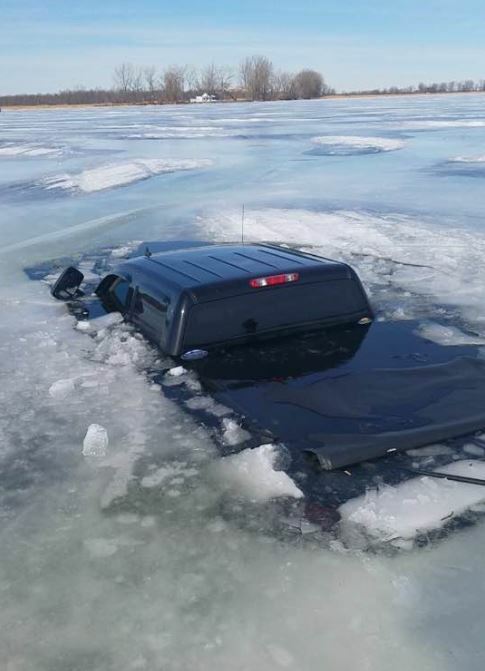 Thanks, I'd never seen this way of getting a car/truck out of the water. I assumed they'd just drag it out with a wrecker. adding interesting stuff to this site in my spare time, so pardon the miscellany and lack of any organization. Progress is fine, but it's gone on for too long. The Vintagent, everything old motorcycle! do automobiles dream of petroleum sheep? nose art on a WW1 tank ! record flooding of the Kalamazoo River. Visit Jesse's profile on Pinterest. Jesse Bowers. Powered by Blogger.